All About You is a spaciously warm wellness centre in Hong Kong and features two designer consultation rooms and a multi-functional training room. 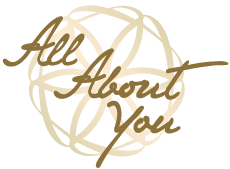 All About You was established in 2012 and currently has 7 Residential Practitioners and 5 Visiting Practitioners. The Centre specialises in hosting private sessions, workshops, and practitioner training programs in Mental Wellness, Personal-Development, and Public Speaking. Services are provided by both resident and visiting practitioners who are experts in Holistic Nutrition, Energy Healing, Sekhem, Tarot Reading, Numerology, Palm Reading, Public Speaking, with a special emphasis on Hypnotherapy. With free WiFi and refreshments available throughout, the centre has been personally designed to inspire growth and development. This space embodies a vision to raise global consciousness through with a suite of services designed to bring out the best version of yourself on all levels. The space is called All About You for a number of reasons, the biggest one being a reminder that you are the creator of your reality and that your life is really a reflection of your beliefs, experiences and perceptions. Our training and therapy rooms are available for hire. We love Giving Back to those with less resources. At some point you will realize that life really is All About You; you have consciously or subconsciously created everything that’s happened in your life. Truly mastering life simply requires you to Love, Accept and Integrate all parts of you.